This week’s Tuva-Luv comes from Maddie! One of her Tuva-Luvs is the Beach Lining Boatwood Frame. It’s made out of recycled wood with lining pieces in beach blues, greens and hints of yellow. The frame features a “distressed” finish. The nature of this style introduces variations such as cracks, bare wood, nail heads, knots, color gradients, and other random elements. Add this perfect coastal frame to your home today! Shop the Beach Lining Boatwood Frame on our online store here! Check out all of our team’s Tuva-Luvs here! Find out what we love now! Last Tuesday we talked about vintage signs. If you missed that post, you can check it out here. We talked about a very specific design element, but this time we’re going general and talking about our favorite things – accessories! We stay true to our coastal roots, but we love vintage and rustic influenced design elements because it is possible to go overboard with too many sea shells. 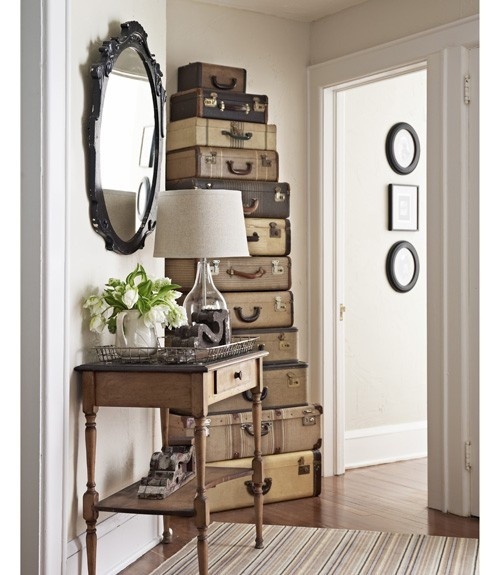 Plus it’s fun to go hunting for pieces and it adds that timeless character to any room. 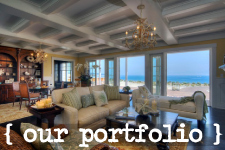 No space is complete until you add those final touches to it and we want to show you how you can do that. 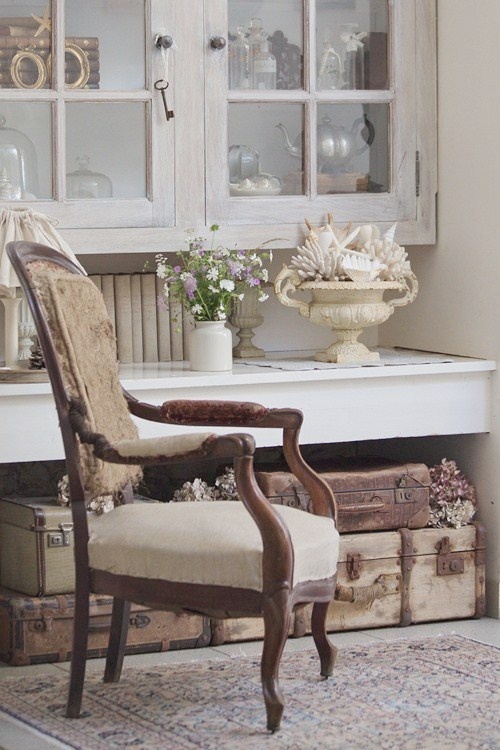 Whether your just starting out and looking for that reference point or you just need a few ideas to help you finish that vintage vignette, we’ve got your back! In this post we’ll show you some beautiful vignettes, a few vintage pieces that you can shop Tuvalu for now and what not to do when going for a vintage theme. 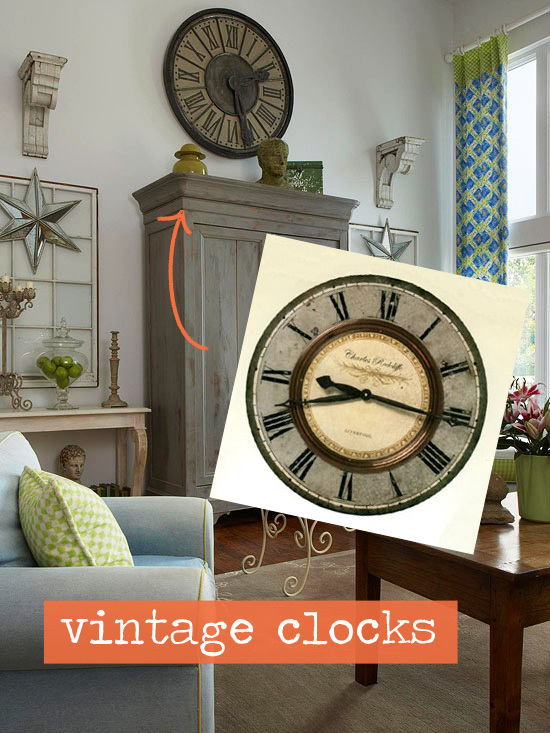 We love vintage style clocks, something about them is just timeless… Corny! But seriously, we love clocks and they can really finish any space. They can be hung on in that high room to fill that vertical space or they can be hung right love your side console to complete your vignette. Either way we feel like they are a great piece! 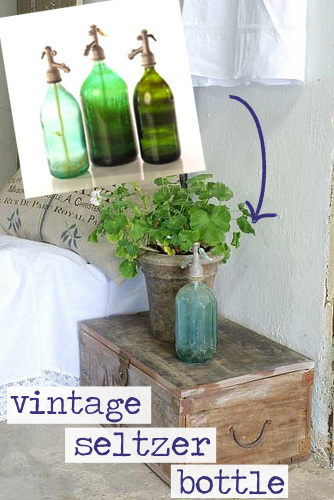 Vintage Seltzer Bottles are great pieces that you can put in just about any space and they’ll fit right in. 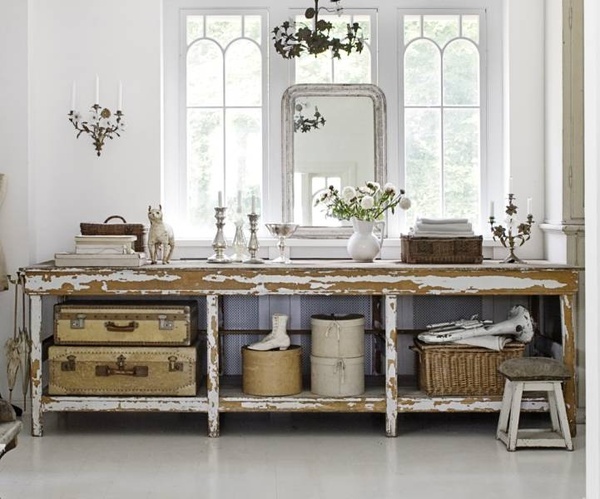 They bring vintage and uniqueness to any space without going over board. No one wants to look like they’re trying to hard. 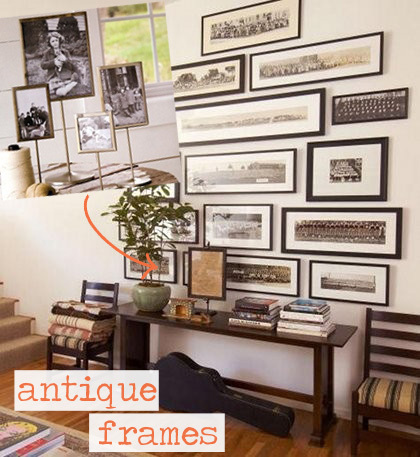 You can never go wrong with antique picture frames. They are wonderful because you can go two ways with them. 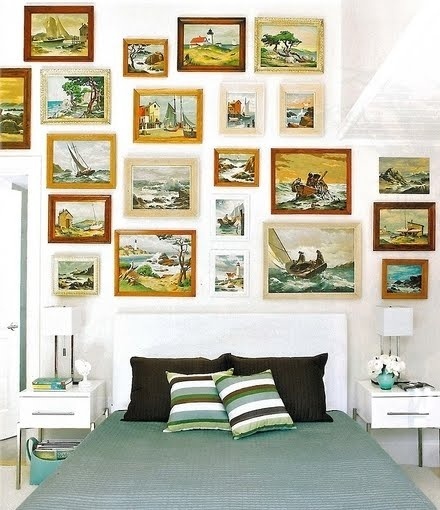 One way you can go is to head down to your local thrift store, or flea market, and grab old vintage photos to put in them to keep your vintage theme going. Another way you can use them is to put your family and friends photos in them. Now-a-days you could even make vintage prints of your own photos for them! 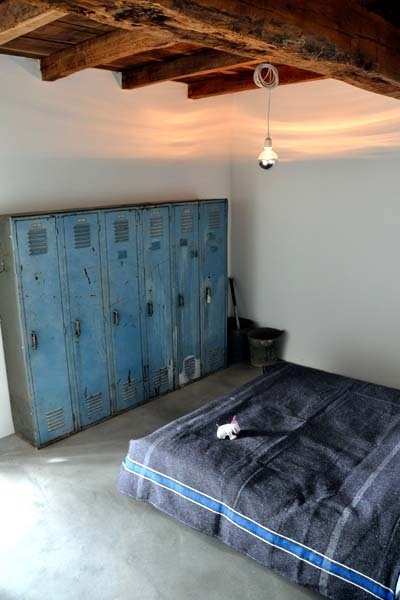 We like the effort in trying to really go for a vintage style room, but lockers? Maybe if they were used somewhere else like the garage, but in this room they don’t work for us. Personally with that light and the heavy wood beam ceilings this remind us of a dungeon or jail cell. Those buckets in the corner add to sketchy vibes we get from this room. Let’s not do this… Ever. At first we really really liked this vignette because of all the sail boats and ocean themed paintings. Then we looked down and saw the modern side tables, lamps and bed frame. 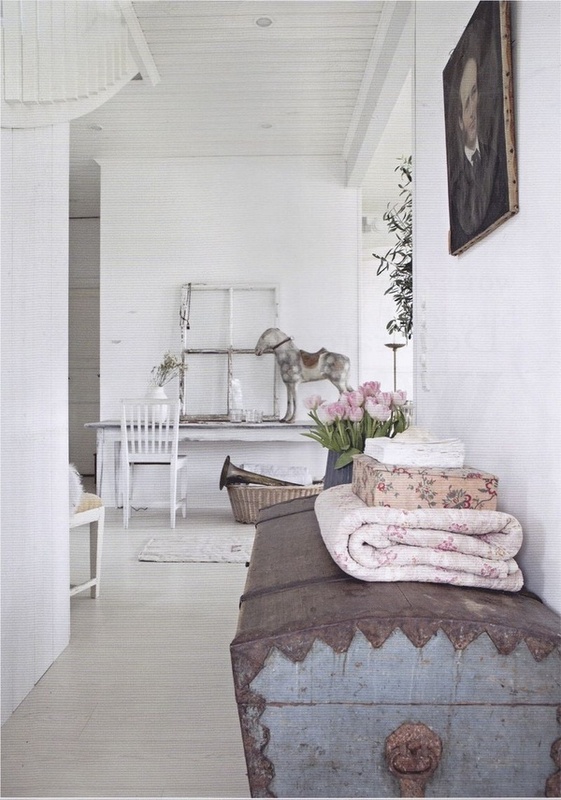 Vintage can be infused with many different styles, but modern is just not one of them. They are extreme opposites, but not in a good way. We know, ‘break the design rules,’ but some times we have rules for a reason and here’s a perfect example why.